I went for a run today at 6:15am, me! Of all people, you’d least expect. I’m enjoying this running malark. After that it was another normal day at the office (heh, I can say that now). With a quick tube ride at lunchtime to Strand to get a refund from Pizza Hut who charged me TWICE on Saturday! Grrr. Should get some free pizza from it though! 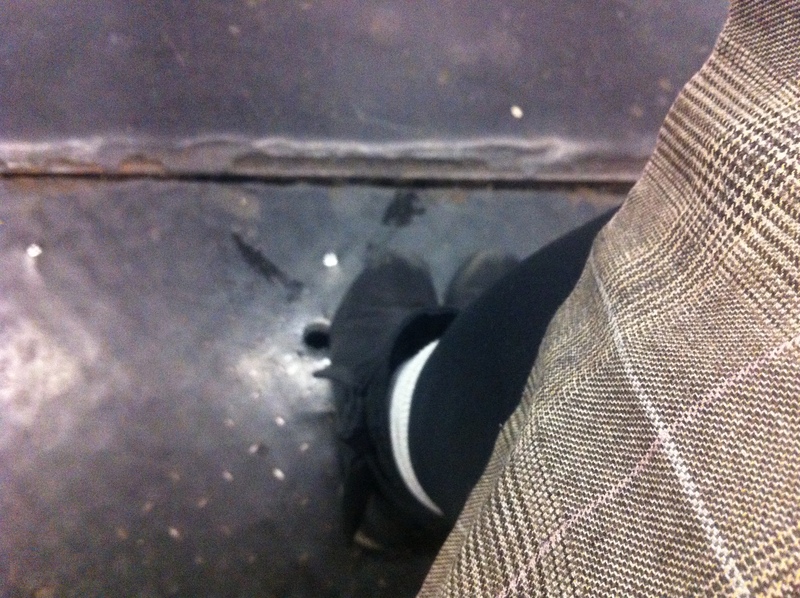 Photo is of my leg in the tube station while waiting for my train. Winter coat is on!